Report (+ Photos!) 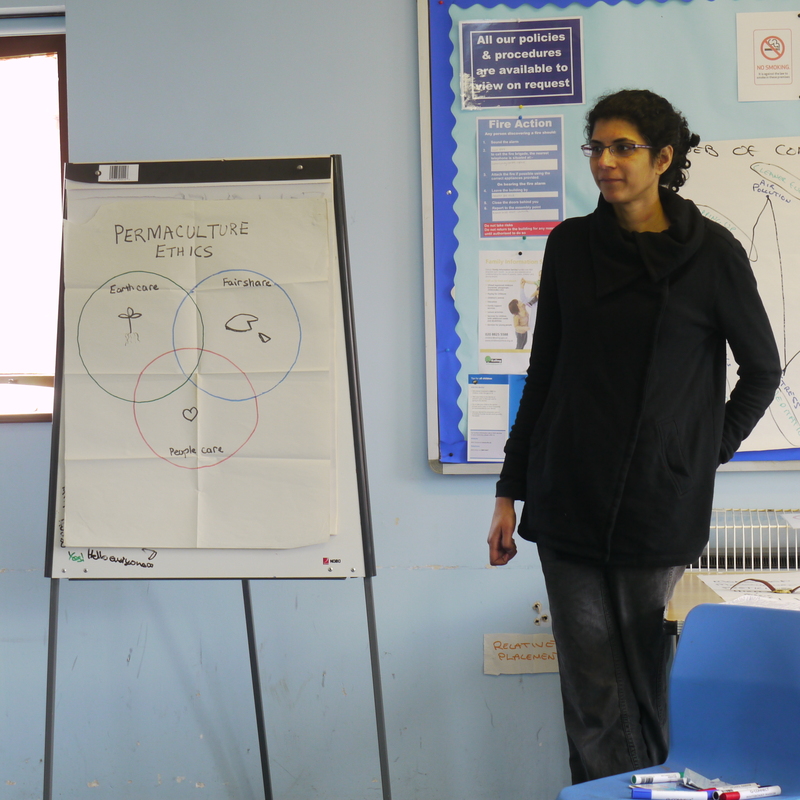 from 2-day Permaculture Course with Social Design in Ealing, London. 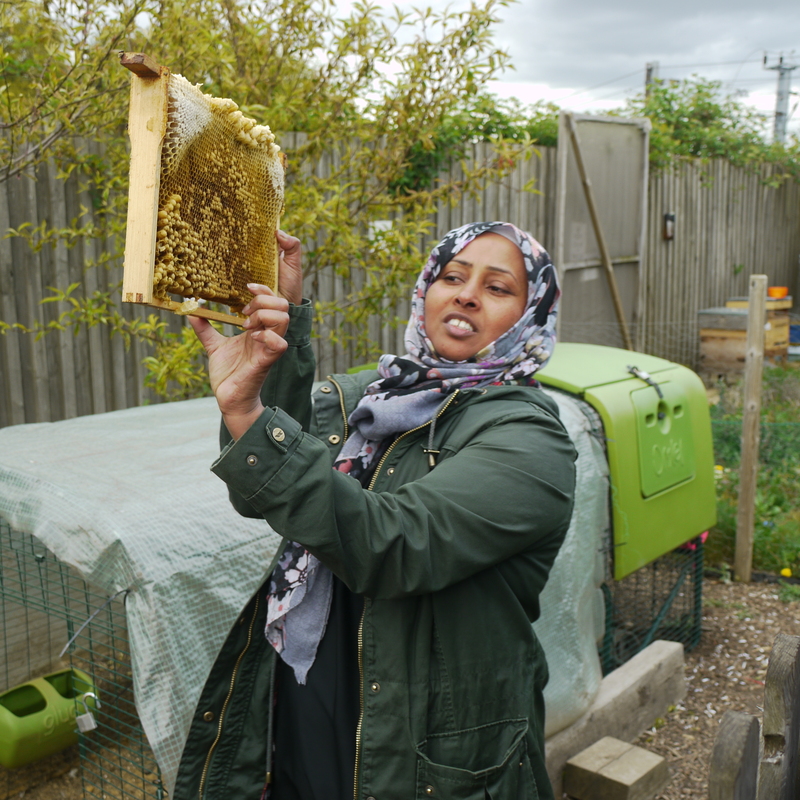 We recently received a delightful invitation to deliver a two-day Permaculture workshop at Westcott Park Community Garden, in Acton, Ealing (West London). 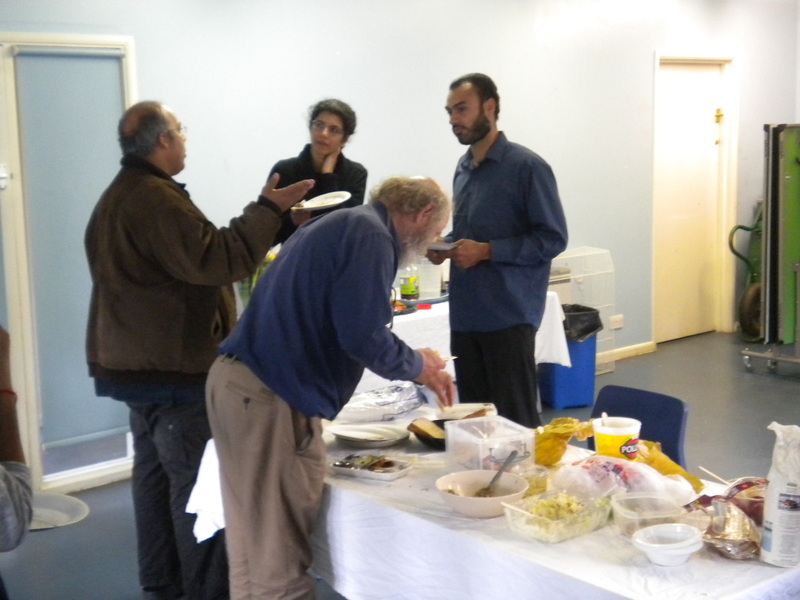 Working with particiapants from a range of economic and cultural backgrounds. Within the course we had been asked to facilitate participants through a social design for the Westcott Park Community Garden Group (and we love facilitating and working with groups for real life challenges!). We get to see the community garden and meet some of the team (Nuria, who we had actually already met, as well as Mani and Asha). The two-day course took place at the end of April/beginning of May (2015). Day 1 involved an Intro to Permaculture workshop, touching on the ethics of permaculture and key principles through a variety of exercises, as well as an outdoor observation (or what we sometimes like to call ‘nature witnessing’) exercise, and a site tour. Participants also went through a simulated land-based permaculture design to support them in integrating what they had learnt. Day 2 involved practical gardening (led by the community garden team), and participants also kicked off a social permaculture design. This design was to serve a real-life need: to help support the Westcott Park Community Gardening Group develop a resilient volunteer system for their garden. 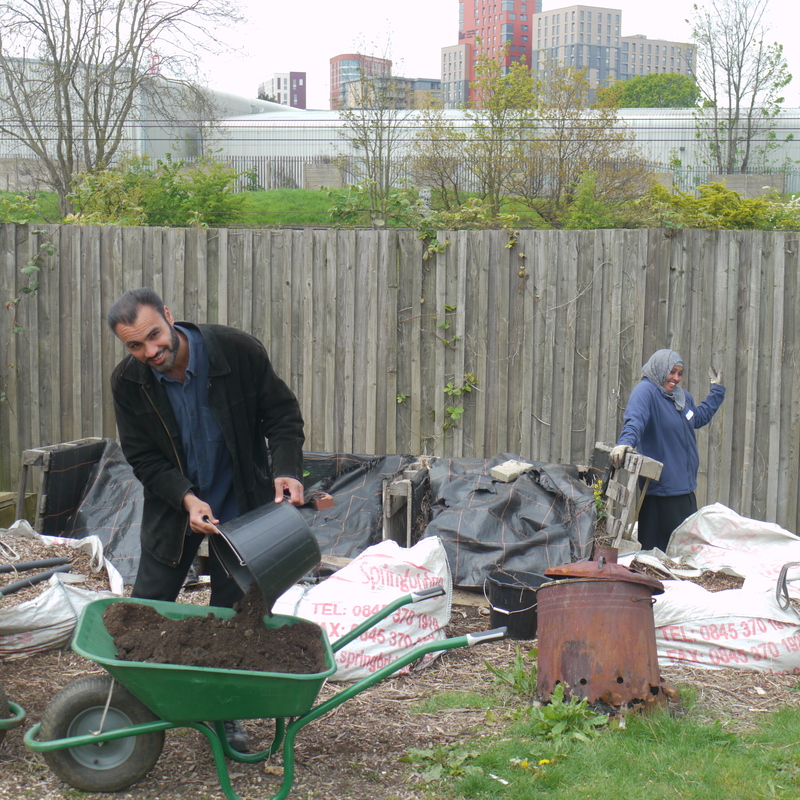 There was alot of work needed in the garden, with just a handful of volunteers. A fresh strategy was being asked for to address this imbalance. 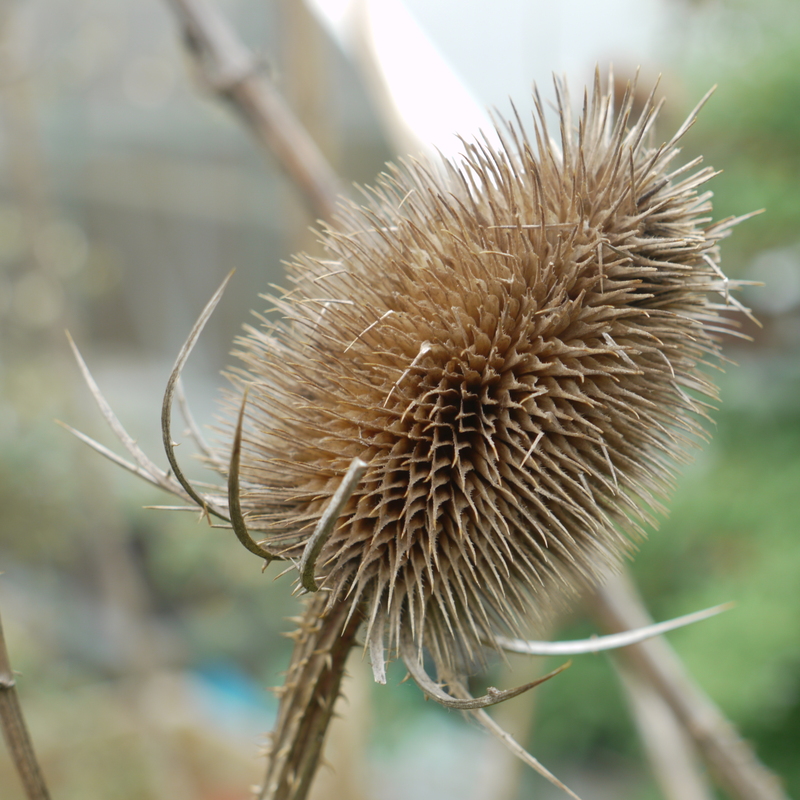 Much of this session involved enquiry, which under the Permaculture ‘S-A-D-I-M‘ design-process acronym would come under ‘S’ or Survey… asking questions of the garden team to get a sense of how things have been and are right now. 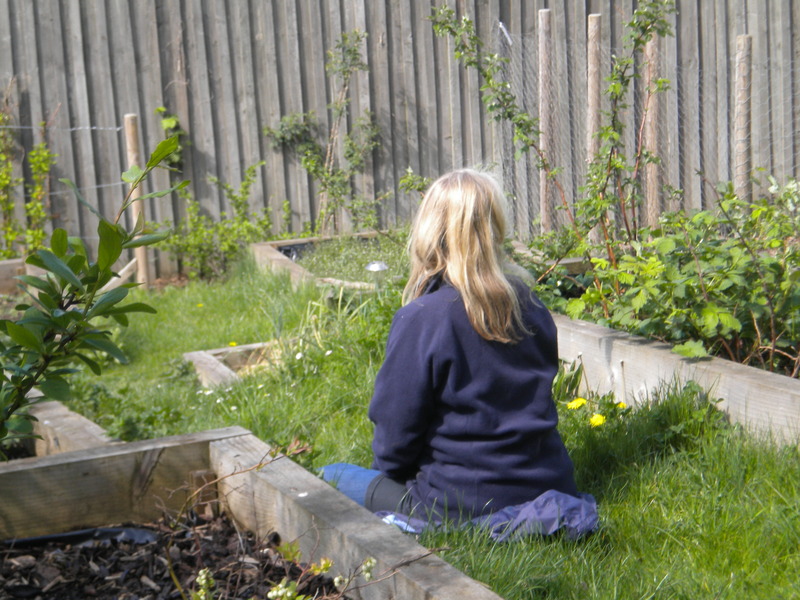 It is really important (if we want to work with nature rather than against it) that we spend time consciously ‘observing’ the social or physical landscape, before launching into any significant change or intervention. This is especially important when we are new to a site, or to a group – and can also help a group see its own strengths, limitations and patterns more clearly. Thus, only after we had all spent time taking in the current situation and specific needs (and then eating some good food and spending time in the garden!) 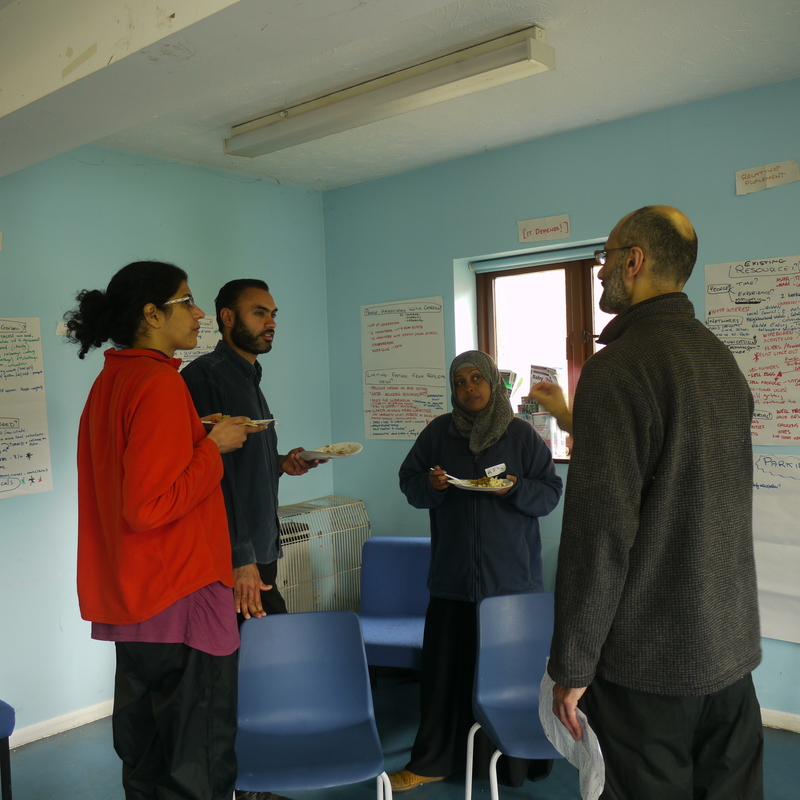 did we – facilitators and participants – move into brainstorming possible strategies or solutions. We did not plan (due to time constraints) to group the solutions together, narrow them down, or begin to consciously consider them in terms of permaculture ethics and principles, for example. 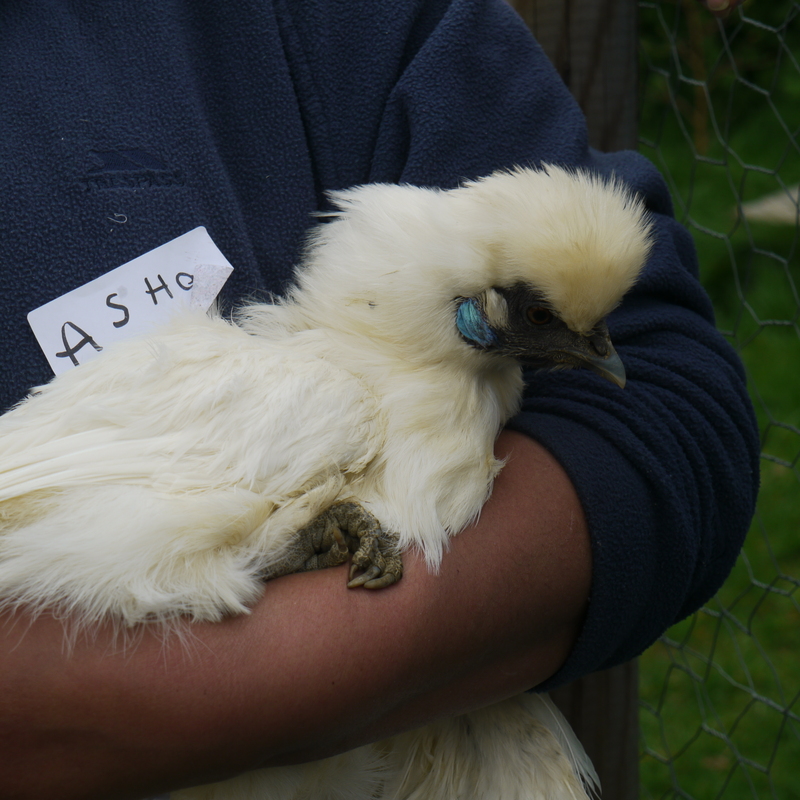 The aim, in the time we had, was to get the ball rolling, and for the gardening group (having also been introduced to permaculture thinking) to take these ideas, and consider them in their own time, space and way, with us available for questions if needed. Below are a few more photos. 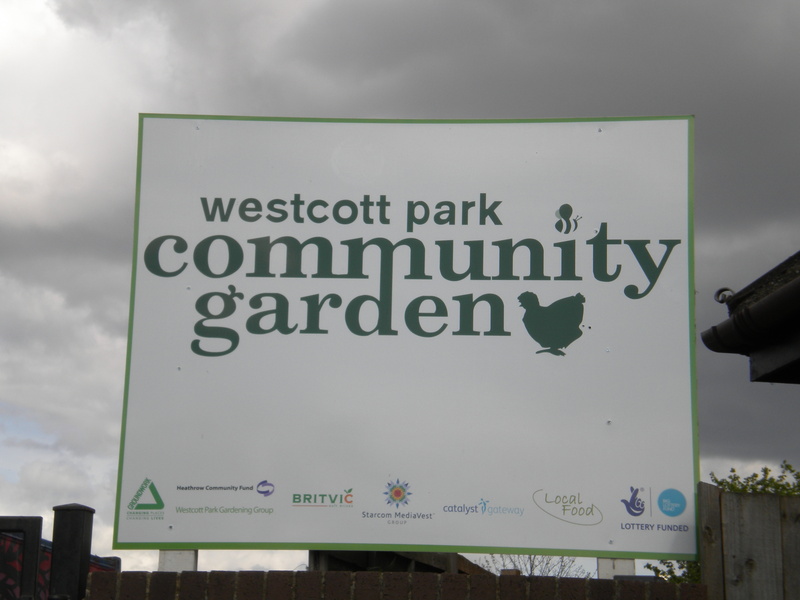 Please also visit the Westcott Park Community Garden Facebook Page. 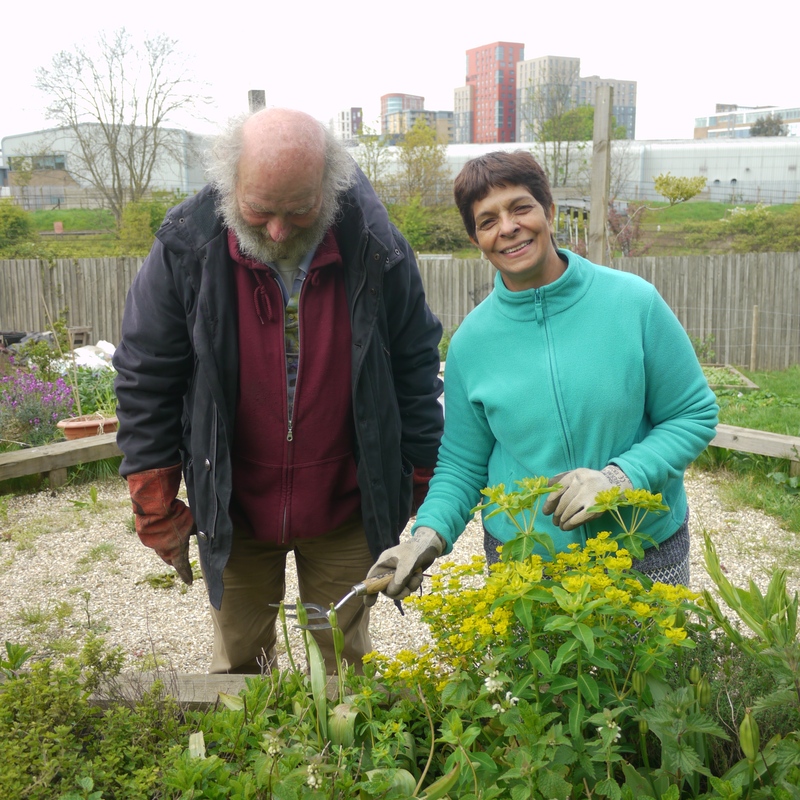 And, if you (or anyone you know in the Acton area of London) would like to volunteer at the garden, please get in touch with the group. "The course delivery was great! The information was communicated with clarity and ease"
"Very complete for being an introductory workshop. I really enjoyed!" "The course was very well structured, giving plenty of breaks. The content was very useful and engaging as well as interactive and diverse. A well paced, clear, lovely couple. Thank you tremendously." This work is licensed under a Creative Commons Attribution-ShareAlike 3.0 Unported License unless stated otherwise. In addition: If using content from this site, you must link to the specific webpage containing the content. The link must be workable if you are using the work online.